The New York Post reports that a young woman from Manhattan, who worked as a dietitian, died by suicide after hanging herself in her West Village apartment. Police were called for a wellness check after concerned co-workers reported that she didn’t show up for work. Another suicide note was found in a folder in her living room. Like many suicides, the death of this young woman came as a shock to those that knew her. She clearly lived a life considered ideal by most people. She had a good career, social life, and seemed otherwise to be in good health. So how do you recognize when a loved one or friend is suffering? How do you pick up on the subtle signs of potential areas of concern in someone who appears well on the surface? When you casually ask “how are you doing?”, be alert to answer when your gut tells you something may be amiss. Don’t be afraid to talk to your loved ones and others for whom you really care about sensitive subject matters. 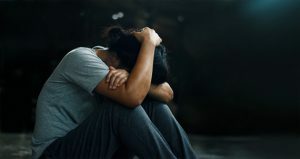 Many people who suffer from these feelings avoid expressing them or reaching out to others for help, not just because they don’t want to reveal their own vulnerabilities, but because they don’t want to burden others. When an individual takes his or her own life, it can leave loved ones and friends with a sense of guilt, that there was something they should have done to prevent it. At times suicide notes, when they are left, give us a glimpse into what research has shown. Psychology Today cites research into the notes left by both those who attempted suicide and those who died by suicide. Among those who died by suicide, the most common factor was a sense of burden on other people. In addition, they had a history of being impervious to physical pain such as violently engaging in extreme sports, receiving multiple tattoos and body piercings, shooting guns, and fighting. They are typically not afraid of enduring the pain and intense emotions that come with completing the act. Not all individuals who die by suicide exhibit the same patterns of behavior or express the same signs. Suicide prevention shouldn’t merely be approached when we notice signs of suffering in a friend or loved one. It must become an active conversation in our culture. Those suffering from mental and emotional illness should be able to seek help without the fear of facing social stigma. For many years, the Law Offices of Skip Simpson has witnessed the hold this stigma has on our society. Our firm seeks to help families and friends find closure and answers. If you lost a loved one due to suicide, we would like to discuss your matter and explore your legal options. Perhaps the individual who died by suicide didn’t receive appropriate medical care prior to his or her death. Perhaps a thorough investigation into events leading up to the individual’s death could reveal other factors. Contact us today to find out what we can do for you. If you know someone who lost a loved one due to suicide, you’re not alone. According to the Centers for Disease Control and Prevention (CDC), there were approximately 47,173 suicides in the United States in 2017. Suicide is often viewed as a taboo subject that many people would rather keep quiet about to avoid invoking more grief. This can cause a friend or loved one to feel abandoned during a troublesome time. What you say to a friend or a loved one who is grieving may not always provide comfort. Self Magazine says finding the words isn’t easy and offers these tips that might help. Read more here. You may have seen him on Saturday Night Live, cracking jokes and sporting a jokers’ grin. You may have heard of him in the tabloids after a highly public split with pop sensation Ariana Grande. And, if you are familiar with the trademarks of borderline personality disorder, you aren’t surprised by the whirlwind romance that came to an abrupt end. Pete Davidson has taken the internet’s attention once again after the end of the relationship, but this time with a series of words on Instagram that brought out just how deadly the disorder can be. “I really don’t want to be on this earth anymore. I’m doing my best to stay here for you but I actually don’t know how much longer I can last. All I’ve ever tried to do was help people. Ending the message with a heart emoji and deleting his Instagram, the celebrity drew concern from all corners of the globe. Some blamed Ariana, his recent ex (who herself just lost a former boyfriend to drugs) as if women are rehabilitation centers for troubled men, and as if her decision to leave a relationship was worth blaming another death on. Pete Davidson was accounted for, unharmed. And he was speaking up. Approximately 5.9% of adults in the US has BPD, according to NAMI. It’s time we learned about it. Profoundly misunderstood by the healthcare community, BPD is not an abbreviation for bipolar disorder, which is a severe disorder mostly affecting moods, but is a personality disorder that can change someone’s very worldview. Often described as unpredictable (and also often co-morbid in those with bipolar disorder) this disorder takes life away from sufferers. They view things in extremes, their hobbies and interests can flip at a moment’s notice, and their lives are a rollercoaster of unstable relationships. How they view themselves and others is a constantly changing, never settling process. People with BPD are often vilified. Seen as abusive, uncontrollable and people to stay away from, Pete Davidson has done the community a sincere service by addressing his illness. He’s spoken about his time in rehab, in which he thought that drugs induced moments of blind rage and breakdowns which impaired his memory. After first receiving a diagnosis for bipolar disorder, and another mental breakdown, he was properly diagnosed with borderline personality disorder. How different are bipolar disorder and BPD? Pete had been tweeting his support for Kanye West in speaking about his mental health, which had been a hot topic as the celebrity stumbled through the political sphere and often seemed like a puppet to some. His internet presence made very little sense. His grandiose behavior and recent history with extreme debt seemed like red flags to some, but humor for others. Kanye spoke up finally about his history with a bipolar diagnosis, making a dent in the stigma against mental illness (especially for men, and men of color) and it had given Pete the courage to talk about his own struggles. Borderline is a personality disorder, affecting some parts of the brain separate from a mood disorder like bipolar. Recovery and maintenance can be different. 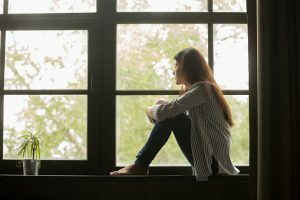 Fear of abandonment and unstable personal relationships are more unique to BPD as a symptom, whereas bipolar patients can have them as a product of their disorder. Many people with various mental health conditions exist in a permanent state of wanting death. This can take the form of an ideation, almost like a yearning daydream, or a reoccurring thought that the sufferer simply wants life to end. This may not be accompanied by a plan or action, or even self-harm, but as a welcome intrusive thought that has made itself home among day to day activities. Imagine every waking moment gagged by wanting life to end. Every anniversary dinner, every birth of a child, every morning coffee is dull and flat because you are alive and hate every moment of it. This is merely another symptom of BPD that is incredibly hard to control, as it can occur in any mood. Living in the public light has given Pete Davidson the opportunity to do several things that put a dent into the stigma around mental illness: ask for help, voice his feelings, and freely share his diagnosis while lifting up another performer. Though Ariana Grande begged fans to “be gentle” with her ex after he cited online bullying as a trigger for his disorder, Davidson has been publicly struggling. Ironically, that publicity has reached thousands diagnosed with the disorder, thousands more wondering if they’ll soon join statistics. Men especially are not encouraged to show mental “weakness” and too often live in a culture that would rather see them dead than in therapy. Currently, the go-to therapy method for addressing BPD is DBT-dialectical behavioral therapy. Unlike CBT or cognitive behavioral therapy, which helps people identify and change core beliefs and behaviors, DBT is skills-based. Learning how to cope, and learning how to live, are two things that some patients may need to learn. Offering a message of hope from such a large platform to anyone struggling with their mental health or suicidal thoughts is something that an entire massive online audience needed to hear. Thank you, Pete Davidson for your humor, entertainment, and helping your brothers and sisters of the world in a way only you could do. Don’t go anywhere; we desperately need you. You are giving folks hope where there was none, and left us laughing too. What a gift to us. Pet lovers have long believed that the companionship that comes with having a pet has real benefits from the owner. Now, a systematic review of research puts hard evidence behind that belief. The review, led by Dr. Helen Louise Brooks of the University of Liverpool and published in BMC Psychiatry, suggests that pets do indeed provide benefits to people with mental health conditions. Americans were estimated to have spent over $69.35 billion on their pets in the year 2017, reaching a new high. 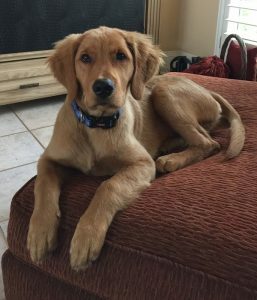 While the love for our furry friends is well acknowledged, their services can make the difference between life and death for some. In the review, “pets were perceived as providing unconditional love and support” – something that people struggling with mental health issues often cannot get from friends and family. In the face of the often overwhelming challenges that come with living with a mental illness, that level of love and support is invaluable. One of the most persistent myths about suicide is the idea that a person who is determined to die by suicide is inevitably going to do so. The reality is that the suicidal urge is an acute problem that does not last forever. Pets have been shown to provide an important distraction, a grounding that allows suicidal people to step outside their own thoughts and focus on caring for or interacting with the pet. That’s often enough to save a life. Some pets, such as dogs, were also shown to force positive behavior from their owners. Simple acts necessary to dogs such as going outside, engaging with the community and participating in physical activity are all known to have significant mental health benefits. For a person struggling with depression or another mental health issue, the simple fact that the dog has to go outside is a powerful source of motivation. Many people that struggle with taking care of themselves often find solace in taking care of another. Hospitals frequently utilize the talents of therapy dogs, who offer calming presences and physical affection to patients in care. 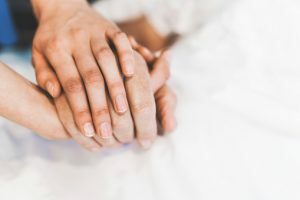 This unconditional love can make a world of difference to someone with a psychiatric disability, especially when navigating often cold and unfamiliar settings of an inpatient unit, especially to those who may not have any visitors otherwise. 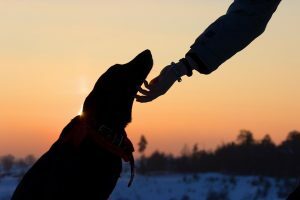 Emotional support animals can include dogs and often do, but could theoretically be any animal that offers an ailing owner comfort in their time of need. Deeply attuned to their owners moods and behaviors, these animals can be allowed (with a “prescription” note from a psychiatrist) to live in places with a “no pets” policy and are protected under the ADA. However, they do not have the training of a service animal and are not allowed to enter the same spaces as designated service dogs. The benefits of tackling mental health treatment with animal assistance are documented through research, and patients often feel more at ease with a furry companion than an all-too-often unfamiliar and anxiety inducing environment of a hospital. Patients who disassociate or hallucinate can be calmed and grounded with animal intervention, whether it comes from a trained service dog or engaging tactile grounding techniques petting the family cat. Depression and anxiety can be calmed, and traumatic episodes can be interrupted by the unconditional bond between humans and pets or service animals. While further research is clearly needed into the specific benefits of pet ownership and the types of interventions that are most effective, the evidence clearly shows that pets have an important role to play in mental health care. As one of the researchers pointed out, introducing pets is potentially a very powerful intervention because it invites patients to get involved in their own care, creating an opportunity to have an open discussion about what works best for the individual patient. Obviously, not every patient will respond well to pets, but for those who do, having an animal companion can be the difference between life and death. This is an avenue of treatment that family members, friends and mental health professionals alike need to explore to make sure that people struggling with mental health problems have access to all of the resources and support they need. So many people at risk of dying by suicide are told “it’s all in your head.” Those words are never true, and they’re never helpful – but they’re perhaps never worse than for people living with chronic pain. It’s a prevalent problem. The National Center for Complementary and Integrative Health (NCCIH) reports that 25.3 million American adults suffer from chronic pain. And the unfortunate truth is that people who are living in pain every day are at elevated risk of dying by suicide. A study in the United Kingdom found that nearly one in 10 deaths by suicide occurs in people with chronic pain. You might imagine that someone with chronic pain might die by suicide because suicide is a final means of making the pain stop. While there’s some truth to this idea, the pain per se is only part of the story. To see the full picture, we have to examine the full impact of chronic pain on a person’s life. “It’s a matter of what chronic pain takes away,” writes Erin Midgol of The Mighty. Chronic pain can damage friendships and family relationships because the person with pain is not always able to spend time with others. It can restrict hobbies and activities, limiting enjoyment of life. For many people who live with pain, even getting out of bed in the morning is hardly a guarantee. Often, people with chronic pain are failed first by the healthcare system. They may be shuffled from doctor to doctor before someone finally takes them seriously. Even then, it can take months or years to find a treatment plan that will make the pain bearable – and even then, the method that works may not be covered by insurance. Meanwhile, chronic pain can make it difficult or impossible to work and earn a living – and many conditions that cause pain do not qualify for disability benefits. Mental health should be thought of as part of our physical health, and taking care of it should be a priority. However, many groups suffer under the “it’s all in your head” stigma and go without treatment for whatever ailment may be the source of their pain. 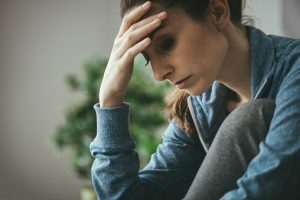 A staggering 25% of Americans experience chronic pain, and a large number of them are women, possibly due to a high number of autoimmune conditions that affect them more than men. 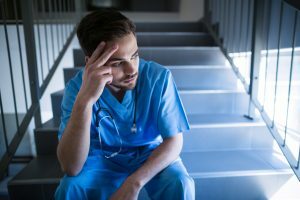 Members of the LGBT community, who already have a mind-blowing rate of depression and other devastating mental health concerns, may avoid doctors due to fear of discrimination or misgendering. 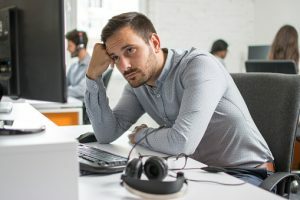 People of color may suffer cultural stigma, particularly men, who tend to not seek out mental health treatment as frequently as their white counterparts. Pain is not treated on a scale of believability. The way it is treated today echoes past centuries where women’s pain was treated as hysteria, and little was done about any of it. The physical and mental anguish leaves many patients wondering if their pain is simply imaginary, isolating themselves, and severely affects their mental health. We must do better. We must change. The opioid crisis, while certainly a major public health problem that needs to be addressed, has had the unfortunate side effect of exacerbating toxic attitudes toward people with chronic pain. People with chronic pain endure the constant message that they’re abusing their medications – when in fact they’re taking them responsibly. It’s time to break this cycle and change the way we think about chronic pain. There should be absolutely no shame in seeking help for physical and mental health issues alike. We have the means and the capacity to take care of anyone in need of treatment for chronic pain. As we mark the end of Pain Awareness Month, let’s be reminded that the stakes couldn’t be higher. Much has been made of the current administration’s decision to detain migrant children – in fact, the administration recently moved to detain children with their families indefinitely, according to ABC News. That’s troubling for a host of reasons, the least of which is that putting children in detention facilities has been linked to depression, post-traumatic stress disorder (PTSD), and other mental health problems that can lead to an elevated risk of suicide. As the New York Times reports, child psychologists and human development experts have raised the alarm about the conditions migrant children face in detention facilities. Even the best institutional setting, the Times says, is a poor substitute for a family. Children need personal connections, stability and consistency in order to thrive, and a detention facility can provide none of those things. Turnover is high among the adult staff, who may be detached and impersonal. Each adult in such a setting is responsible for a large number of children, further limiting the amount of attention each child can receive. In short, detained children – especially migrants in an unfamiliar place and with potential language barriers – are left to long for the care they need, which may not come for a long time, if at all. In addition to the pure psychological issues, being in a detention facility or institutional setting at an early age can lead to health issues, such as heart disease, later in life. Those physical health issues, in turn, can lead to co-occurring mental health problems such as depression, anxiety, deadly eating disorders, and elevated risk of death by suicide. The true long-term consequences of being in detention facilities are harder to predict, but the damage is real. Research suggests that a longer stay at a later age may require the longest recovery period. Some children may prove to be more resilient than others, but every child who is detained is at risk. Shocking and terrible experiences, such as being placed in a detention facility, have a deep and profound effect on the mind. In far too many cases, that effect is permanently damaging, leaving scars that never fully heal – and may later be realized in a death by suicide. But there is potential for survivors to emerge stronger than before, and our hope is to see that potential realized. Post-traumatic growth (PTG) is the idea that victims of trauma can discover new personal strength, deeper meaning in life and a stronger sense of purpose. According to an NBC News article on the topic, PTG is not the opposite of PTSD; rather, it can happen alongside post-traumatic stress as the victim finds new ways to cope. And it’s more common than you might think – one study showed that 30 to 70 percent of trauma survivors report at least one sign of PTG. Helping them to understand and process the meaning of traumatic events in a supportive setting. Narrative exposure therapy – a clinical technique that encourages survivors to create personally meaningful stories of their experience – can also move children (and adults) on the road toward post-traumatic growth. It’s possible, even in the darkest of times, to find opportunities to grow and build resilience that will protect the survivor against future mental health issues and the potential risk of death by suicide. 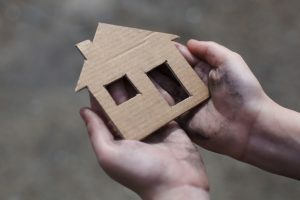 But in order to protect these children and help them to find new meaning after trauma, we first need to stop subjecting them to additional trauma, either by reuniting them with their families or finding them new, supportive homes. And then we need to make an immediate and sustained investment in the mental health services and resources they need. Early intervention is the key to suicide prevention, most of all among those who have experienced severe trauma. These children deserve nothing less. The collective wisdom of this country knows everything detailed in this blog. Why do stupid things that hurt children? What is the point? Can Mental Health Education Prevent Suicide? According to the CDC, suicide rates have increased in every state across the US except for Nevada from 1999 to 2016. In 2016 alone, almost 45,000 Americans as young as 10 years old lost their lives to suicide. In 2016, roughly 44.7 million adults in the US aged 18 or older (18.3 %) suffered from mental illness. However, only 19.2 million (43.1 %) received treatment. Serious mental illness affected 10.4 million adults in the US aged 18 or older (4.2 %), about 6.7 million (64.8% ) of whom received treatment. New York and Virginia have tackled the mental health epidemic through education. Both states have enacted laws mandating that mental health education be implemented in the school system. Frankly, it is disturbing to know other states have not taken the same or similar steps. The New York law will require that mental health is included in curriculums in grade levels K-12. The law was passed and signed in 2016 but did not take effect until July 1, 2018. The law is intended to bring awareness to the issues and risks faced by those who suffer from mental and emotional complications. Those for the law believe that mental health education can prevent substance abuse and suicide. Virginia’s law (Senate Bill 953), which also took effect on July 1, 2018, will require that mental health topics be included in physical education and health for 9th and 10th grade students. With greater implementation of mental health education into New York and Virginia’s school systems, children who suffer from mental illnesses may have a myriad of resources for early intervention. The National Alliance on Mental Illness (NAMI) identified the early onset and warning signs of mental illness in children. About half of lifetime mental illness starts in adolescents around the age of 14, 37 percent of which are at risk of dropping out of school. These early signs of mental illness are not to be ignored. Bringing awareness to students, teachers and parents can make a difference in preventing substance abuse, destructive behavior or suicide. If you notice these warning signs in your child, NAMI suggests talking to a pediatrician, getting a referral to a mental health specialist, becoming active with your child’s school, and connecting with other families. A healthy network of social links not only keeps parents informed of their child’s behavior, progress, and in a support network should they need it. The new laws passed in New York and Virginia may provide a ground-breaking basis for suicide prevention, but more needs to be done. It’s important that the perception of mental health changes in our society. Children who may otherwise feel overwhelmed and hopeless may receive the support they need from educators and their peers. But when responsible parties fail our children, they can be held accountable for negligence. Losing a child or loved one to suicide is a devastating experience. That’s why you should speak to an attorney experienced in helping families of suicide victims seek answers and justice.